Couldn’t find a more appropriate place to post this, so please direct me to one if it exists. So I recently bought tabletop simulator on steam and I’m really liking it so far, it’s a really neat tool/game. It got me thinking that - provided you had the patience to import the scans of the cards you needed - you can build whatever deck you like and play it vs anyone else who also owns tabletop simulator. Obviously there won’t be too much interest due to the 20$ barrier for entry but I thought since this is (correct me if I’m wrong) the only way to play pre-DP decks online, it’d be cool to let people know. Here Is a guy making a MTG with it, making Pokemon decks is essentially the same. Unless it’s SIGNIFICANTLY better than LackeyCCG (which, is in all honesty, only in use in Pokemon because there’s nothing better) which happens to be free, I can’t imagine paying $20 for something I could get for free. Once you download the plugin for Pokemon, all you need to do is build the deck, connect to the server, and play, for whatever format whenever. Welp, don’t think that existed when I last played. 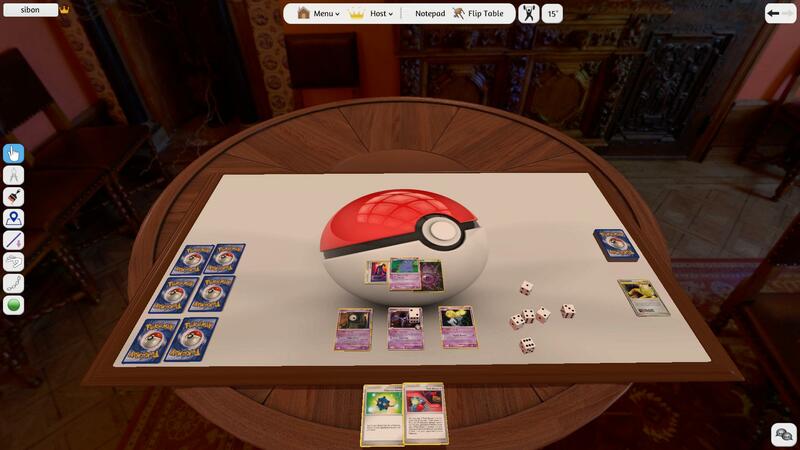 My bad, Tabletop Simulator is a lot prettier but for the purpose of playing Pokemon LackeyCCG is probably more convenient and of course free. Looks pretty neat! I skipped through the whole video but about how long does it take to put together a deck? Probably around 15-20 minutes if you already have the list and can find scans that are the same size (HGSS cards are bigger than other cards on pkmncards). Here’s the image I used to make Shuppet, and here’s the result. I like PTCGO, I really like TCG ONE, this just seems pretty cool! I’ll check it out! Also, would you have to program the game to know how to play Pokémon? I don’t necessarily get the concept. 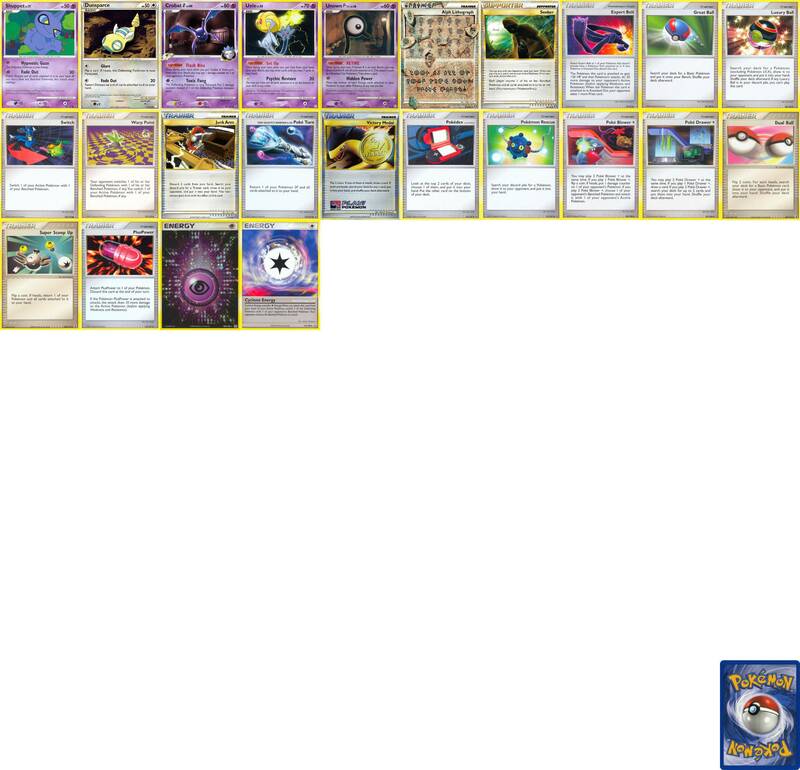 PTCGO doesn’t support anything from Base Set up until Arceus (?) and all of the HS cards are really hard to get, while TCGOne is missing all of the EX series (Ruby/Sapphire), DP series, and HS cards. It’s not missing ALL the ex series. Just most of it. LackeyCCG is probably the best in terms of getting all the formats. Yeah, you’re right. They have R/S, Sandstorm, Dragon, Aqua/Magma, and Hidden Legends, but nothing else.